For the love of Matcha! When David Tea’s introduced their tea infused chocolates, I was excited to try them. 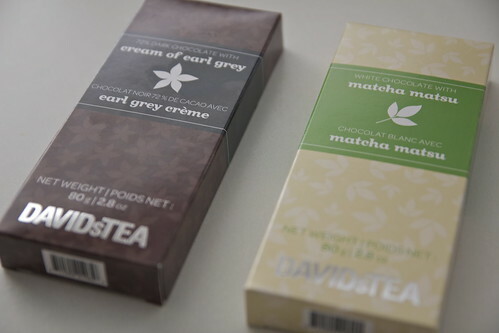 Unfortunately, I thought they were overpriced and lacked tea flavour, especially the white chocolate with matcha matsu. To me, it lacked matcha flavour and just tasted like plain white chocolate with the slightest hint of matcha. 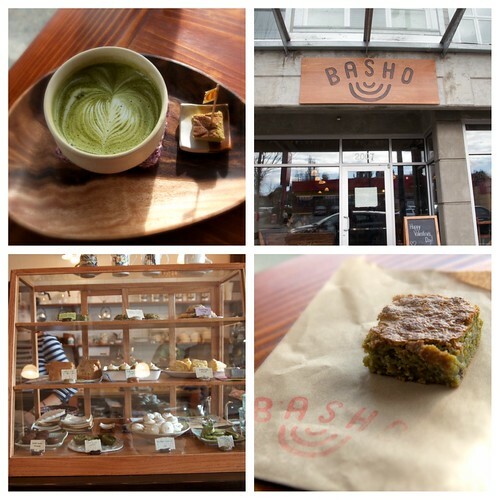 I tried this Japanese new cafe called Basho Cafe and I was in matcha heaven! I will do a full blog post on it in the future but on my visit, I got a matcha latte and a piece of white chocolate matcha brownie. They also have other baked goods made with matcha including matcha coconut cookies, matcha mochi brownie, matcha filled meringue on that particular day! I blogged about this green tea parfait here. Since I was in the downtown, I decided to get one to satisfy my sweet tooth. 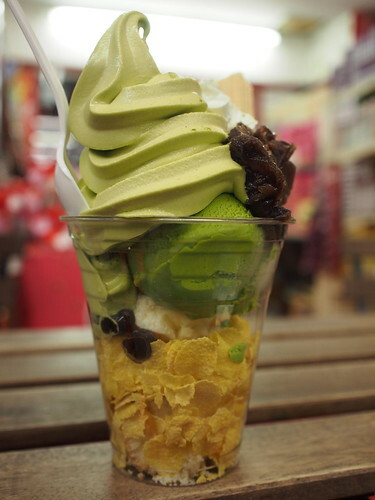 I love the green tea soft serve ice-cream, it’s so delicious! Hello! I know I haven’t been updating my blog much lately… I’ve been having a bad week so I didn’t feel like updating much. I want to announce that I have finally made a Twitter account! You can follow me @yetjessica if you desire. I tweet pictures I don’t post on my Instagram to mix things up. Anyways, that’s it for this update post, I will be making posts about what I did during my reading break soon. I went to my second (and last) Dine Out on Sunday at Baru Latino. 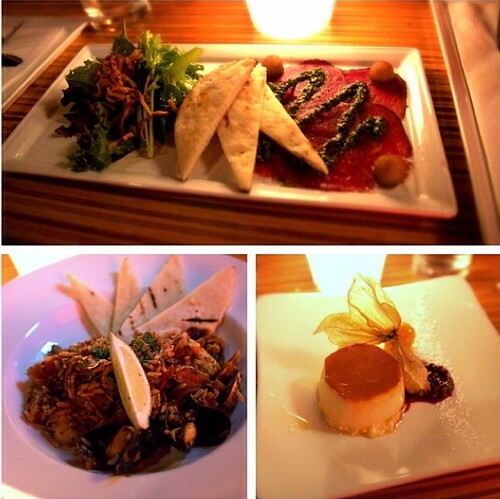 I specifically chose Baru Latino for their paella (bottom left picture). Overall, my meal was delicious and the flan was heavenly, although M thought it was too sweet. I ordered some skin care products from Sephora a few weeks ago when they were doing a 2x the points event. 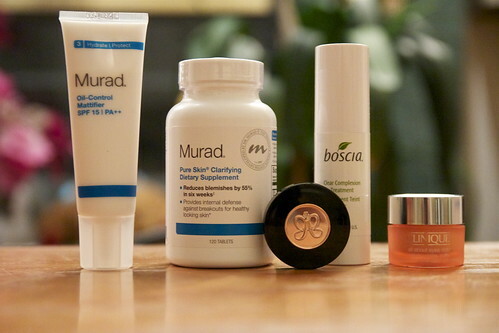 The products above are mostly to target my acne and oily skin. I’ve tried a multitude of products for my oily skin, but nothing has really worked so far. 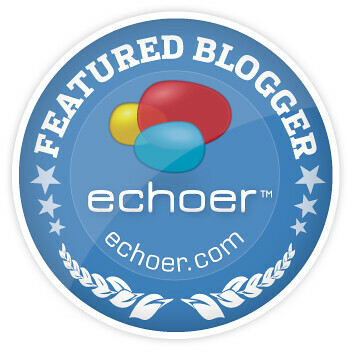 I read good reviews about the Murad oil control mattifier, so I am anxious to see how it will work for me!